The pro golfer who introduced Tiger Woods to his current wife, Elin Nordegren, said he feels badly for her in light of revelations that Woods had an affair. 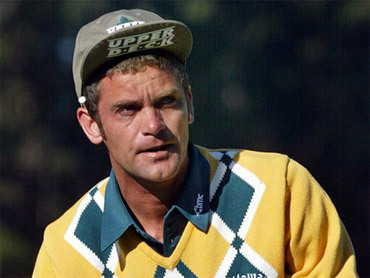 Jesper Parnevik said of Nordegren, who was his family's nanny at the time he introduced her to Woods, "I'm kind of filled with sorrow for Elin since me and my wife are at fault for hooking her up with him and we, probably thought he was a better guy than he is then. Earlier Wednesday, Woods acknowledged that he let his family down with unspecified "transgressions" that he regrets with "all of my heart." "I have not been true to my values and the behavior my family deserves," Woods said on his Web site following a magazine report of an alleged affair. It was his longest statement since a middle-of-the-night car crash outside his Florida home last week set off the greatest media scrutiny of Woods' career and his 5-year-old marriage to Nordegren. He did not go into detail and said he would deal with his "personal failings" with his family. "Those feelings should be shared by us alone," he said. Shortly after the investigation of the car accident ended Tuesday with a $164 citation for careless driving, Us Weekly reported that a Los Angeles cocktail waitress claims she had a 31-month affair with the world's No. 1 golfer. About three hours before Woods' statement, the magazine released what it said was a voice mail - provided by the waitress, Jaimee Grubbs - that Woods left on her phone three days before his accident. "I will strive to be a better person and the husband and father that my family deserves," Woods said on his Web site. "For all of those who have supported me over the years, I offer my profound apology." Woods' career - as a golfer, a pitchman and perhaps the most recognized athlete in the world - has been largely without blemish since he turned pro at age 20. Three of his sponsors - Nike, Gatorade and EA Sports - expressed support or commitment to Woods. Gillette said it had no plans to change its marketing programs. AT&T declined comment. A redacted version of Special Counsel Robert Mueller's investigation into Russian interference in the U.S. election, and President Trump's efforts to obstruct the FBI's and Mueller's investigations, has been released, prompting dismissals and arguments over findings of fact, questions about prosecutorial judgment and Congressional prerogative, and subpoenas. What's next? Weijia Jiang reports.